La Fuente Ministries is a community of Christ-followers committed to connecting and honoring generations for the sake of discipleship. La Fuente Ministries believes that the transference of faith from one generation to the next is not a one-directional movement of information from the older to the younger generation. Instead we believe that multiple generations mutually impact and transform one another, so God invites the church to create spaces of intersection and learning between the generations. At La Fuente Ministries, we believe that God has called us to not only have multiple generations sitting next to each other during worship, but also to intentionally connect generations through mentoring relationships. At times these relationships spring up organically, such as the time when a retired school administrator and a mother with a special needs child navigated together, advocating for the child’s educational plan and support. At other times, these generations are intentionally brought together to sharpen and deepen each other’s faith. 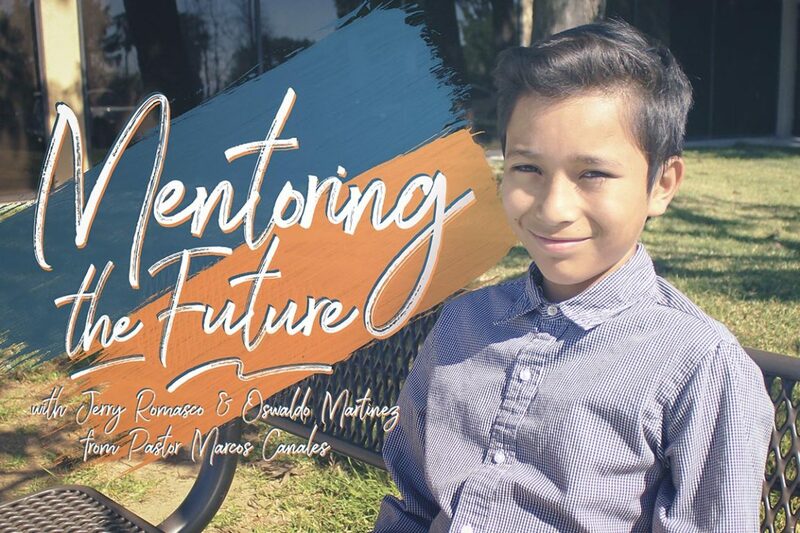 For example, the mentoring experience told in this article sheds light upon Jerry Romasco and Oswaldo Martinez’s mentoring relationship. La Fuente Ministries is very thankful for the ways in which Christ continues to meet both of these amazing men through their conversations, stories, and experiences of faith. Part of the amazing movement of God in this mentoring relationship is that the Spirit had been stirring in both Jerry and Oswaldo the need to connect, hang out, and get to know each other better. When I approached Jerry to have him consider mentoring, God had already been prompting him to walk alongside a younger leader in our congregation. When I spoke with Oswaldo, God had been calling Oswaldo to be a pastor, but he also knew that he needed someone to help him process what this calling meant. Thus, I immediately considered that a mentoring relationship between Jerry and Oswaldo was the necessary step for mutual transformation and for discerning God’s leading in their respective lives. La Fuente Ministries has seen that providing intentional spaces in which generations can connect generates a Spirit-led posture of listening, learning, and service for God’s kingdom. Mentoring relationships can be the catalyst and sustaining force for Christ-like disciples to struggle in community with faith doubts and questions, as well as to deepen the understanding of grace over legalism. How did you connect with La Fuente Ministries? Oswaldo: It was sort of an accident, really. A friend invited my grandma to a Hispanic service at a church, and we decided to go. We actually got a little confused about where the church was and ended up at PazNaz and found our way to the La Fuente Ministries service. When we realized we were in the wrong place, we decided to stay. We immediately loved being there and planned to come back because of how much we enjoyed it. What does it mean for you to be part of La Fuente Ministries? How is it meaningful? Oswaldo: It means that I get to be a part of church and be connected to others. It’s really meaningful to me that they are training a new generation to be connected to La Fuente, to be a part of the church, and to serve. It’s also really great because it’s connecting generations to each other. I love that it feels like I’m part of a big family. What have you learned about God this past year? Oswaldo: That God is good. I’ve learned a lot this year … let me think … God wants you to forgive others because God desires peace. I’ve learned a lot of God’s stories and what God has done on the journey with his people. I’ve learned what God wants and what God’s son died for. Also, God will always be there for you, and he is always going to be by your side no matter what. I’ve learned that you can always trust God because he won’t let you down. How are you growing within La Fuente Ministries? Oswaldo: I’ve been getting involved a lot. I really want to be a pastor, so I’m preparing for that. I will be preaching at some point, so I’m getting ready for that. How are you serving within La Fuente Ministries? Oswaldo: Often I get to read Scripture in service. I really like helping others hear the Bible. We’ve helped at Church in the Park. I just want to help others in every way I can. I want to show people the Word of God. I also like that I get to do it with other generations. What are your dreams for the next stage of development of La Fuente Ministries? Oswaldo: I want us to grow and for more people to know God. I want to preach alongside Pastor Marcos. I also want other kids to feel what I do in having a mentor and to be supported. Every kid should have a mentor because they’re always there for you. What would you like to say to other people? Oswaldo: No matter how down you get, always rely on God. Sometimes it seems no one is by your side, but if you reach out to God and ask for help, he’ll be there. It’s like God is your friend. You can rely on God no matter what.